ROSELEA is approximately 863.86 productive acres located just 8km east of Rylstone NSW and 3hrs drive from Sydney. An undulating to flat property with large eucalypt shade trees and dams in each of the 12 paddocks make ROSELEA easily managed and highly productive due to improved pastures with a strong fertilizer and lime history. ROSELEA has been successfully farmed for 3 generations in the same family, raising and breeding cattle for market and a history of sheep, fat lambs and fine wool. 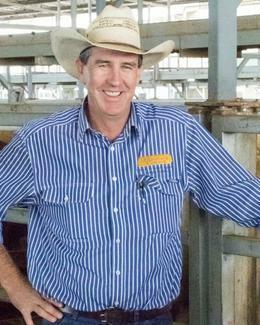 The vendors have run stock numbers of 220 head of cattle, or 40hd of cattle with 1000 sheep, in total. Now predominantly grazing country with fodder crops of millet sown but past crops grown range from wheat, oats, canola and sunflowers. Strong infrastructure including timber and steel cattle yards, 2 stand shearing shed and large workshop with 4 bay machinery shed (including a car hoist), 3 small storage sheds, large storage/hay shed and additional single car garage make ROSELEA the full complete package. The property is securely fenced for a livestock operation and is subdivided into 12 main paddocks. ROSELEA homestead is a 4 bedroom home with 1 bathroom, an additional shower and toilet, a large meat room or pantry, with garage and carport accessible under cover. In addition there is a beautiful north facing front verandah overlooking the well-established and colourful garden, highlighting the view of the surrounding rural vista of grazing land, mountain backdrops and Rylstone district. The established trees create a strong wind break and beautiful cool place in summer. This is a rare opportunity to purchase as piece of Rylstone history. For full information memorandum and inspection call listing agents.